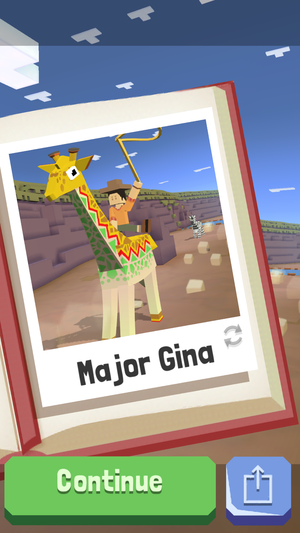 Can you keep up with this rapid animal runner… and build the sky zoo of your dreams? Two intense animal stampedes have weighed heavily on my mind of late. The first is from The Lion King, and in case you somehow haven’t seen the 22-year-old Disney animated classic, I won’t spoil the moment for you—but it packs an emotional wallop. My kid is three years old and loves the music, but I’m agonizing over how long I need to keep the actual film from him because of that scene above all. Don’t count on being atop that elephant for long—he’ll stop and launch you once he gets a little steamed. 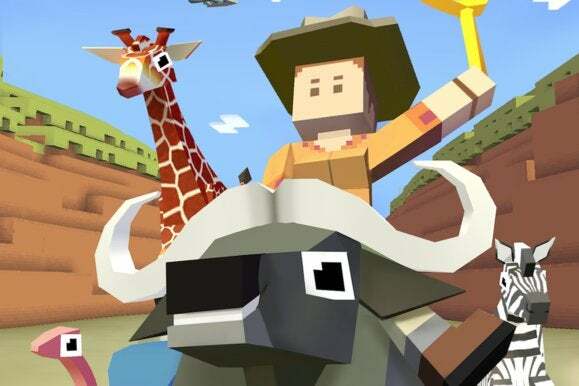 Luckily, the other stampede is quite a bit more upbeat: It’s Rodeo Stampede: Sky Zoo Safari, a super-fun new free-to-play game about leaping from animal to animal before they get too angry about you hitching a ride. It’s Crossy Road-esque in look, but has its own unique play approach and mechanics, not to mention the whole “Sky Zoo Safari” part of the equation. However, it has a lot of freemium options to wade through, even if they’re all very fair. Rodeo Stampede has none of the drama and fear of The Lion King’s pivotal scene: it’s all silly, lively amusement. You’ll begin each stampede on the back of an animal, be it a zebra, elephant, giraffe, or one of several other beasts, and hold a thumb down and shift it slightly to steer around rocks, trees, and other sprinting animals. Raise your finger at any moment and your little hero will be vaulted ahead in slow motion, seeking another back to land on. You’ll need to ride a new beast for several seconds to tame it. You’ve got multiple reasons to make the leap rather than stay put on a single animal. One is that the animals typically only let you ride for a few seconds before getting upset, at which point they may start bucking, run at a difficult-to-control pace, or even eat you whole. The other reasons are strategic: Much of the fun and point of the game is to recruit not only varying animals for your zoo, but also different breeds of each. You’ll want to leap between the animals to try and grow your population. All the while, you’ll try to notch the farthest run possible before you ultimately crash or are eaten, as well as complete tiny missions along the way—for example, riding two ostriches back to back, or smashing through a pair of buffalo without jumping. Finishing missions and taming more animals helps you progress to further areas of the initial Savannah setting and ultimately into the Jungle, with more stampede locations promised. Once an animal is tamed, you’ll have a chance to frame up a nice selfie for the collection. And there’s the zoo, of course, which acts like a lightweight management sim. 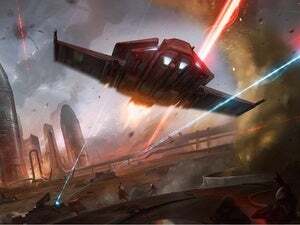 For some reason, your zoo hovers in the clouds on a flying battleship of sorts, with each animal getting its own habitat that can be upgraded several times over with coins. 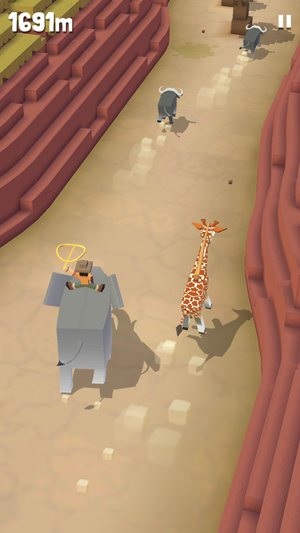 Not only does upgrading get you gradual perks in the stampedes—such as animals that stay happy longer, or that can eat an increasing number of other creatures—but it also impacts how much money you make from visitors, which then pours back into the ongoing progression through the game. It’s a lot of moving pieces, really, but at least you have options to spend either time or money if you’d like to make faster progress in nearly every situation. Like Crossy Road, the biggest upside here is that there are no restrictions on simply playing the core game: You won’t find a rechargeable energy meter that depletes whether you start a run or crash out in a blaze of glory. You can play as much as you’d like without watching an ad or paying a penny. That’s pretty essential for delivering a great, arcade-style free-to-play game these days, and luckily Rodeo Stampede doesn’t disappoint there. Double your customers (and coins) by watching a video ad? It’s strongly advised if you don’t mind short commercials. Over time, however, the progression really slows to a crawl. 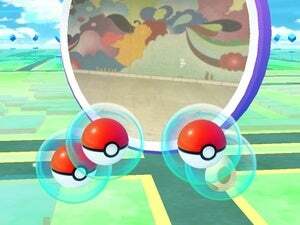 You can only open the zoo once every six hours, and that’s your biggest source of coins in the game. Also, once you’ve been playing for a while, new missions only roll out every six hours as well. 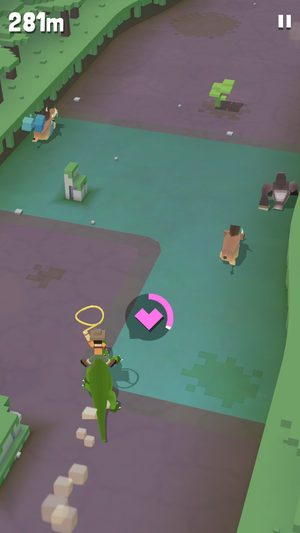 So while you can continue playing Rodeo Stampede for the fun of it, you’ll net few coins and make little headway on pushing into the next area. 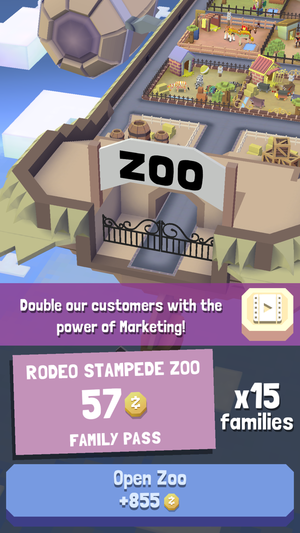 If you don’t mind watching 30-second video ads for other mobile games, then you’re in luck: Rodeo Stampede puts the prompts all over the place, and they bring big benefits. 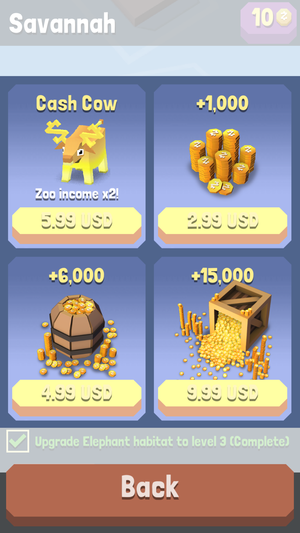 For example, you can watch an ad to double the amount of money you earn each time you open the zoo, which potentially brings several hundred more coins at a time. You can also watch an ad to unlock a new mission at any point, or often watch an ad to continue a long run that’s cut short. While $6 seems a bit much for the coin doubler, it’ll gradually earn its value versus shelling out for one-time coin bundles. The fact that you’d need to watch an ad simply to unlock a new objective might rub some players the wrong way—but I have zero problem watching videos to gain perks. I’ll happily do something else for 20 to 30 seconds while the commercial runs on my phone, and if the developer makes some profit in the meantime, that’s just fine with me. It’s better than Featherweight Games loading Rodeo Stampede with forced video ads that you have to watch to keep playing at all, and in my eyes, it’s preferable to spending a bunch of money on in-app purchases. Of course, you can do that if you want. The Cash Cow coin doubler, which automatically juices any income you get in the game, is pricey at $6; still, it’s better than spending between $3 (1,000 coins) and $10 (15,000 coins) on packs to boost your total for short-term spending. My recommendation? Watch the video ad every time you open the zoo, because 30 seconds of your time is well worth hundreds of coins, and consider watching them elsewhere as much as you can stomach. And if you see yourself playing for a long time, go ahead and snag the coin doubler. Six bucks seems high, but given that I spent $15 on three packs of coins to help speed up my progress along the way, it’s potentially a wise early investment. And if you’re patient enough to play at the pace Rodeo Stampede sets, then you probably don’t need to spend a thing. 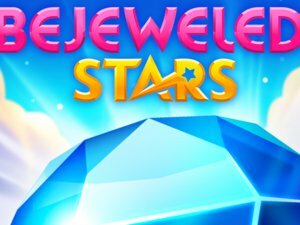 The video ads are a nice option, but as mentioned, the game is fully playable (and enjoyable) if you prefer not to wade into freemium waters. Rodeo Stampede is a blast, and with more locales promised—the next one sounds frigid—it could become even more addictive with time.